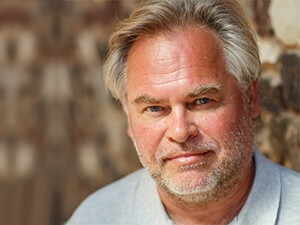 Eugene Kaspersky, co-founder and CEO of Kaspersky Lab. The Trump administration yesterday told US government agencies to remove Kaspersky Lab products from their networks, saying it was concerned the Moscow-based cyber security firm was vulnerable to Kremlin influence and that using its anti-virus software could jeopardise national security. The decision represents a sharp response to what US intelligence agencies have described as a national security threat posed by Russia in cyber space, following an election year marred by allegations that Moscow weaponised the Internet in an attempt to influence its outcome. "No credible evidence has been presented publicly by anyone or any organisation as the accusations are based on false allegations and inaccurate assumptions," the company said. The order applies only to civilian government agencies and not the Pentagon, but US intelligence leaders said earlier this year that Kaspersky was already generally not allowed on military networks. In a statement accompanying its directive, DHS said it was "concerned about the ties between certain Kaspersky officials and Russian intelligence and other government agencies, and requirements under Russian law that allow Russian intelligence agencies to request or compel assistance from Kaspersky and to intercept communications transiting Russian networks." It continued: "The risk that the Russian government, whether acting on its own or in collaboration with Kaspersky, could capitalise on access provided by Kaspersky products to compromise federal information and information systems directly implicates US national security." The department said it would provide Kaspersky with the opportunity to submit a written response to address the allegations. The agency said other entities claiming commercial interests affected by the directive could also submit information. Kaspersky Lab has repeatedly denied it has ties to any government and said it would not help a government with cyber espionage. However, the company has not been able to shake off the allegations. Last week, Best Buy, the top US electronics retailer, said it was pulling Kaspersky Lab's cyber security products from its shelves and Web site. Rob Joyce, White House cyber security coordinator, said yesterday at the Billington Cyber Security Summit that the Trump administration made a "risk-based decision" to order Kaspersky Lab's products removed from federal agencies. Asked by Reuters whether there was a smoking gun showing Kaspersky Lab had provided intelligence to the Russian government, Joyce replied: "As we evaluated the technology, we decided it was a risk we couldn't accept." Some cyber security experts have warned that blacklisting Kaspersky Lab could prompt retaliation from Russian president Vladimir Putin. Joyce said those concerns were a factor but that a "tough decision" ultimately had to be made to protect government systems. The direct financial impact of the decision will likely be minimal for Kaspersky Lab, one of the world's leading anti-virus software companies, which was founded in 1997 and now counts over 400 million global customers. Federal contracting databases reviewed by Reuters show only a few hundred thousand dollars in purchases from Kaspersky, and an employee told Reuters in July the company's federal government revenue was "miniscule". But Kaspersky also sells to federal contractors and third-party software companies that incorporate its technology in their products, so its technology may be more widely used in government than it appears from the contracting databases, US officials say. The decision by the Trump administration came as the US Senate was planning to vote as soon as this week on a defence policy spending Bill that includes language that would ban Kaspersky Lab products from being used by US government agencies. Democratic US senator Jeanne Shaheen, who had led efforts in Congress to crack down on Kaspersky Lab, applauded the Trump administration's announcement. "The strong ties between Kaspersky Lab and the Kremlin are alarming and well-documented," Shaheen said, adding she expected Congress to act soon to reinforce the decision by passing legislation. Also on Wednesday, Democratic senator Amy Klobuchar wrote to DHS asking whether the agency used Kaspersky products in relation to any critical infrastructure, such as election equipment, banks or energy suppliers, and if it knew whether any voting systems used the company's software. Eugene Kaspersky, the company's co-founder and chief executive, attended a KGB school, and the company has acknowledged doing work for the Russian intelligence agency known as the FSB. But he has adamantly denied charges his company conducts espionage on behalf of the Russian government.